The process of “getting rid of your car” can be confusing and also time consuming to get the best companies with the best prices. But it doesn’t have to be so hard, and if it’s your first time you are probably dreading the process. However, if you choose the right company things can go smoothly. HERE’S A SHORT LIST OF 5 IMPORTANT THINGS YOU NEED TO DO BEFORE YOU SCRAP YOUR CAR. #5 IS AWESOME! Your car is like your house and tends to accumulate things. When you Sell a Car, it is your responsibility to clear out the vehicle before the tow truck arrives. One needs to understand that your car is not a dumpster and the wrecking companies are not responsible for cleaning out your car, there is also a possibility to overlook important items. Be sure to check all trays, players and even under the mats. Also, don’t forget to take all insurance cards and any other documents that may have sensitive information. You need to return your license and cancel your insurance. The most important things are to transfer the ownership to the wrecking yard. It is important to transfer the deed as to not incur any future liabilities. If a company does not require a transfer of ownership deed, please consider this as a red flag. You may also contact your local authorities regarding regulations on sales to scrap yards. Although this maybe slightly time consuming, but if you have an agreed on a price with a scrapyard then you should hand it over as it was the point of inspection but if you are getting scrap equivalent for your car then you might as well salvage some valuable parts and sell them privately. 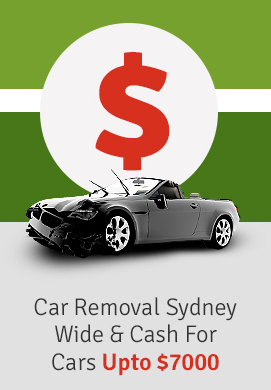 When you consider handing over your car to a car removal company it is usually a fast paced process. And if you’re handing over the car from an inconvenient spot it might be tough to take care of all procedures. Be sure to remove your license plates which you will need to hand over to cancel your registration and insurance. Use up all the gas that you’ve paid for. And depending on the size of your car that will represent some sum of money. Scrapyards usually drain the fluids before recycling so doesn’t have a major value to them.